We’ve all seen pics of the bridge. 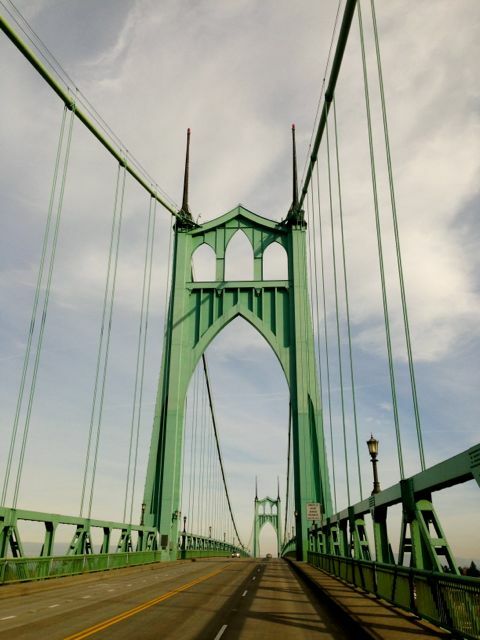 Maybe even been over the bridge, but I have to say, I have never walked down to Cathedral Park or shopped through the quaint town of St. John, which is basically north Portland. I kept saying to my husband, “I feel like I’m a tourist in my own town.” Quite frankly, I liked being a tourist that day. Our first stop was to get some breakfast. After checking out the menu and finally deciding on a hash she told us there were specials. Lucky for me, one of the specials was classic eggs benedicts with ham. 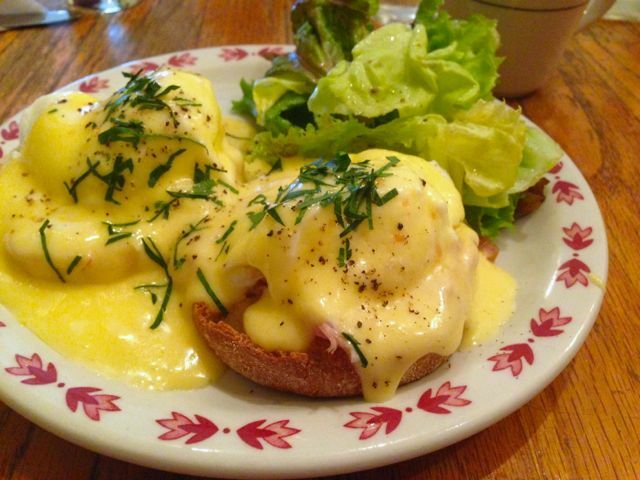 The bennies were smoothered in hollandaise sauce. I liked the sauce, I just needed less. I still managed to enjoy them. My daughter got the egg sandwich. It was a good sandwich with eggs and bacon on a muffin. My husband had the hash and said he liked it. This place was bustling with people. Looked like a lot of locals came here to meet up. This place looks like a coffee shop. Basically what you do is go to the counter and order and then they bring out your silverware and get you all set up. They even end up busing your table. Service was good here. We shopped at lots of Vintage stores. It was so fun just to wander in and out and look at some great older clothing and furniture. The stores there all seemed have a good collection of vintage games too. I can’t say which place I liked the best, but I did love wandering through them all. 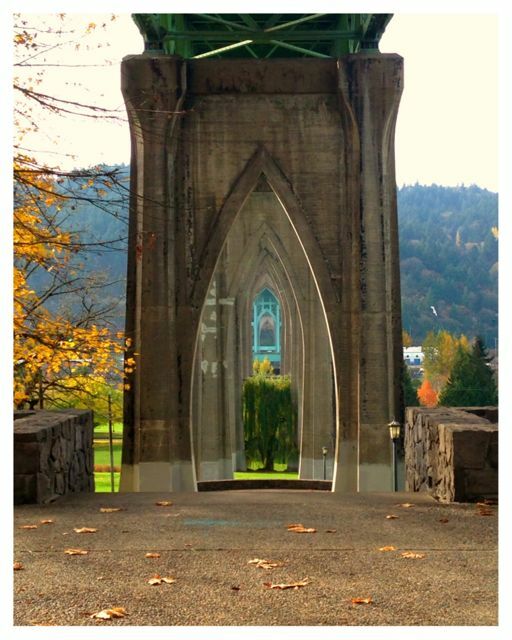 We then wandered down to Cathedral Park, which is underneath the St. Johns bridge. It’s absolutely beautiful down there. You can get all the way down to the river too. No matter which way you are looking, the bridge is stunning. They were working on taps when we were there. I’m assuming they are up and running now, but if not, they had a great bottled beer selection. 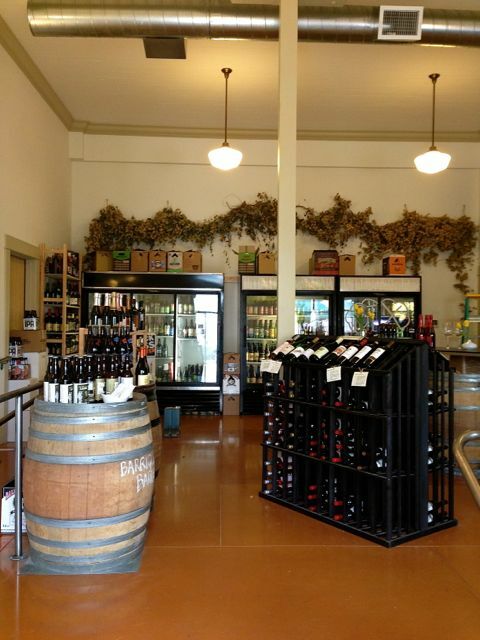 If your not a beer lover, they also have wine to choose from. They have done such a great job with this space. Olive and vine. Great place to stock up on Olive oils, vinegars and salts. Plus a whole lot more. 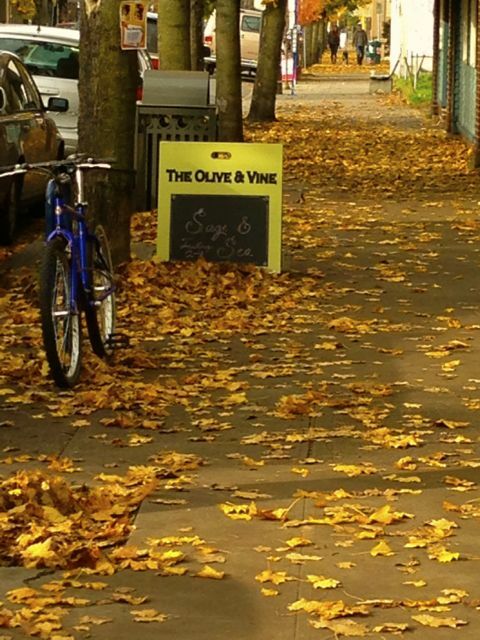 We stocked up on olive oil and Jacobsen salt at Olive and Vine. This is a small little shop that packs in a lot of goodies. I even purchased Butternut Squash Seed Oil. I had never even heard of it, but let me tell you, I love it on roasted cauliflower. As I was looking at it the owner was giving me suggestions on how to use it. I like supporting places where they are super knowledgeable and helpful. I think we went back twice in one day. After I looked at a few things and then thought about them more, I decided I needed them. Follow them on Facebook as she has tastings on occasion and you can keep up with them all on there. Even if you miss the tastings you can still sample a lot of things in the store. Before we left we grabbed gelato from Affogato. It was a really small space, with lots of character. We got the full run down on how they make their gelato using the finest local ingredients. They also serve coffee from Equator Coffee, which is from their uncle out of Eugene. If you want to try both, they make something called Affogato, where they pour espresso over your gelato. I loved that they had a great outdoor seating as well. We were able to people watch while we enjoyed our gelato. Great way to end the day in beautiful, quaint St. Johns. From one of our stops we heard about a great pizza food cart with indoor seating where you can get beer, so a trip back is in order to try out Pizza Contadino. As I understand it, you can order pizza at the cart and walk inside and grab a beer. I hope they are right, because that sounds like the perfect set up. If you are looking for something fun to do and not wanting to leave town, head to St. Johns. There is plenty to do and see and most of all, places to eat. Update:: We stopped by Girasole Wood Fire Cafe. The pizza was good, but you won’t believe what was on the menu that wowed us all. What is your favorite place in St. Johns? Unfortunately I’ve never spent much time in St. John’s. It looks like a super cute area of town and I’d like to explore it more. Great blog post on some of St. Johns best “of’s”. 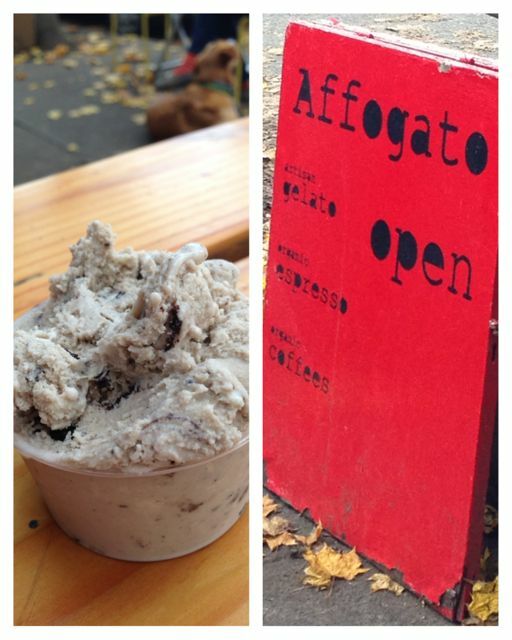 Affogato has the best gelato and coffee in Portland in my opinion. and I adore the selection at Barrique Barrel – And the JJC is my fav breakfast spot in Portland. The drinks there are so good!